Almost 2 years ago, I took advantage of a free teeth whitening promo offered by a new dentist. I had new patient cleaning and exam. They took impressions of my teeth, made custom trays for me, and gave me whitening gel. I haven’t returned to that dentist because the office environment was unprofessional. It’s a family dentist but I don’t feel comfortable taking my daughter there. Are the trays and gel good for life? I didn’t use it right away. I actually put the supplies in the cabinet below my bathroom sick and forgot about it. Is it still safe to use? And will it work? D.L. You can rinse the bleaching trays, place them on your teeth, and check them for fit. Is It Save to Use the Free Teeth Whitening Gel? Most whitening gel lasts about a year after it is made. If it is kept in the refrigerator, the gel can still be good for use a little longer than a year. Over time the gel oxidizes and loses its potency. The gel will begin to look white or foggy if it is old. It doesn’t necessarily mean that it is dangerous to use, but it probably won’t whiten your teeth. Dentists offer quality teeth whitening, so the tubes you received probably have the manufacturer’s name on them as well as the gel type. You can search online for the guidelines for using the gel. If you can’t find any information, it’s probably best to throw away the gel. Custom bleaching trays cost more than gel. If you are keeping up with your dental appointments for cleanings and exams, tell your current dentist that you already have custom trays. He or she might be willing to offer you the gel at no cost or for a reasonable fee. This post is sponsored by Dr. Miranda Lacy. Dr. Lacy of Plano, TX offers free teeth whitening to patients who maintain regular dental exams and cleanings. Are you thinking about whitening your teeth without having to pay a dentist? Some people think that as long as they get a good product, completing their own treatment is the next best thing to free teeth whitening. But how do you know which bleaching gel to use? And what results can you expect? Before you consider which brand of bleaching gel to use, keep in mind that custom whitening trays will give you the best results. Why use custom trays? Precise fit – Custom whitening trays are made from impressions of your teeth. They will fit precisely to maximize the whitening treatment. 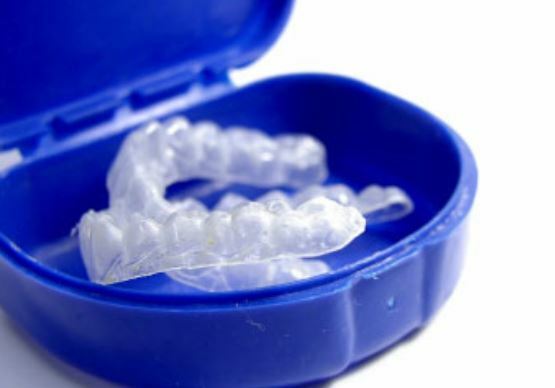 Results – The trays will keep bleaching gel in contact with your teeth and away from your gums. You won’t have to worry about wasting gel. Comfort – Since the trays are the exact shape of your teeth, the bleaching process will be comfortable. The bleaching gel won’t burn your lips or gums. You can read, relax, or watch a movie without trying to keep a one-size-fits-all tray on your teeth and away from your lips and gums. There is no mess to clean up with custom trays. So which product will you use? There are so many whitening products available. If you search online, you can even find free teeth whitening kits. But what results can you expect? Whitening strips – The strength of over-the-counter whitening strips is limited because they don’t require the supervision of a dentist. The most potent whitening strips are a fraction of the strength professional bleaching gel. Brush-on gel – This bleaching gel is brushed on your teeth. There are many brands available. Based on the common ingredients, you can expect a mild whitening effect. Like whitening strip, it is not as effective as professional-strength bleaching gel. Opalescence or Zoom Nite White – Some dentists use these brands. They are available in various strengths for comfortable whitening. If you have sensitive teeth, a less potent gel will be used. Within two weeks your teeth will be dramatically whiter. These high-potency gels contain carbamide peroxide, one of the most effective whitening agents, and should be administered by a dentist. Snow® whitening – Snow teeth whitening is a popular brand that is advertised on TV. It also ranks highly on Google search. After painting on bleaching gel, you will place a tray over your teeth that will shine an LED light on them. The idea is that the light will boost the whitening process. But does it work? It’s difficult to find information on the website about the ingredients in the bleaching gel. And no studies are published on the Snow website. If you want safe, effective whitening, the best way to get it is from your dentist. If you want free teeth whitening treatment, even some dentists provide it if you maintain your cleaning and exam appointments. This post is sponsored by Dr. Miranda Lacy of Plano, TX. It’s very unfortunate your dental office has chosen not to honor their agreement to give you free teeth whitening. Many dental offices use free whitening to attract new patients and help you keep preventive appointments. What’s More Important than Free Teeth Whitening? Your oral health is a priority over aesthetics, including free whitening. If you have cavities, gum disease, or other issues, it’s not a good idea to focus on the appearance of your teeth while letting your oral health suffer. Your oral health needs to be restored first. Depending on the severity of the issues with your teeth, there may be exceptions. For example, if you only need a filling or other restorative work, the whitening should be completed first so restorative material can be selected to match the lighter shade of your teeth. If your oral health is good, you’ve received a recent dental cleaning, and your original whitening trays still fit, your dental office should be willing to resume your free whitening privileges. Unfortunately, if they refuse to do so, there is little that can be done about it. However, you may want to speak with the dentist directly to explain why you were not available to keep your cleaning appointments. He or she might agree to provide you with free teeth whitening. This blog is sponsored by Dr. Miranda Lacy. Get details on Dr. Lacy’s offer for free teeth whitening in Plano. Are Lemons or Oranges Safe for Free Teeth Whitening? I’ve been looking at some alternatives for free teeth whitening, but I really want it to be natural. My teeth aren’t that bad, but I would love them to be a few shades brighter. One of the things I keep reading about is the use of lemons and oranges. Supposedly, if you use the essential oils or rub the peels on your teeth regularly, they work as a whitening agent. I figure it can’t hurt, so I might as well try it. Any idea if there is science behind this or how it works? Also, is it safe for long-term use or will the acid harm my teeth? Although lemons are listed on some natural health sites as a way to whiten your teeth, it’s a really bad idea that can permanently damage your teeth. Let’s explain. Tooth discoloration can be intrinsic or extrinsic. An intrinsic discoloration comes from within the tooth. For example, certain medications can make a tooth change color from the inside out. If a tooth dies, it may become gray. If your enamel becomes thin, perhaps due to age, brushing too hard, acid wear, or taking certain medications, the color of the dentin below may show through. Genetic factors can also have an effect. You may get extrinsic staining from certain habits, including drinking cola, coffee, tea, wine, and juice. Smoking is also a big culprit. Our teeth naturally build up plaque. This is actually a biofilm that forms when bacteria adheres to your teeth. If you’ve ever wadded in a river and felt a slippery rock, it was due to a type of biofilm. The biofilm on your teeth includes the bacteria responsible for tooth decay and gum disease, which brushing twice daily is recommended. It is also important to get regular professional cleanings. When your teeth clean and smooth, the coloring in the foods you eat or drinks you consume are less likely to cling to your teeth. When your teeth build up biofilm, stains adhere. Your primary defense against staining is to keep your teeth clean. It might require limiting certain foods or drinks that are bad for your teeth. What about Citrus Fruits for Teeth Whitening? Citrus fruits can brighten your teeth because the acid in them kills bacteria. Apple cider vinegar is also routinely touted as a cure for discolored teeth, but it contains acetic acid. Eventually, the acid will weaken your tooth enamel wear it down over time. As you lose enamel, the discoloration will likely worsen and your teeth can become sensitive and more prone to decay. Worse yet, once the enamel is gone, it will not regrow. Your dentist can help with some of the issues that occur, but the enamel will be permanently affected. There are many natural “cures” for stained teeth, but they are often dangerous. Before you try do-it-yourself methods, talk to your dentist about what he or she recommends, or use a professional system that has been tested and is safe. This blog is sponsored by Dr. Miranda Lacy. Learn more about her Plano free teeth whitening special here. How important is teeth whitening for dating and your social life? A 2015 survey conducted in behalf of the American Academy of Cosmetic Dentistry concluded that our smile is one feature of our appearance that can defy age. It can be the secret to our attractiveness. The majority of survey participants said that an investment in their smile is more important than an investment in weight loss, hair enhancement, or enhancements to other facial features. What does it all mean? That your smile is important to other people. If you are dating, or trying to find someone to date, don’t take your smile for granted. A clean, bright smile can go a long way in attracting a date—or even just friends. In addition to teeth whitening from your dentist, what else can you do to make a great first impression? Floss between your teeth daily – Flossing not only makes your teeth look better, it helps prevent gum disease, and can help freshen your breath. Brush your teeth twice daily – This helps keep teeth clean and bright. Whiten your teeth – Professional whitening from a dentist gives you the best results. If you can’t afford professional whitening, whitening toothpastes will help control surface stains. Over-the-counter whitening strips will help. Brushing your teeth with baking soda, or rubbing the inside of banana peel (which contains magnesium and potassium) can help reduce surface stains on our teeth. Cosmetic dental treatment – Dental bonding is an affordable way to restore chipped teeth, or to reshape teeth. If you need to restore a broken down tooth, porcelain veneers or porcelain crowns can help. Orthodontic treatment can align your teeth, which is not only better for your smile, but also for your overall oral health. Keep your breath fresh – Regular flossing, brushing, and mouthwash should keep your breath fresh. If you’ve tried them all, but are still struggling with bad breath, speak with your dentist about it. Gum disease, tooth decay, medication, or a medical condition may be causing the problem. Your dentist can help you identify the issue. Your smile can make a first impression and leave a lasting impression. Don’t take it for granted. This post is sponsored by Plano TX female dentist Dr. Miranda Lacy. She offers free teeth whitening to patients who keep their regularly schedule appointments for a dental cleaning and exam. Will my free teeth whitening match the fillings on my front teeth? Raven – There are a few things to keep in mind when using bleaching gel on teeth that have fillings. White fillings won’t prevent you from being a candidate for teeth whitening. Of course, the bleaching gel will whiten your teeth, but not your fillings. After your whitening treatment is complete and your teeth are as white as you want them, if the fillings are noticeable, they can be replaced. If the fillings are too dark, a cosmetic dentist can use dental composite to replace them. Composite will be mixed to match the shade of your bright smile. It’s best to wait a few weeks until the color of your teeth has stabilized to ensure the dentist makes a good match. If you anticipate needing cosmetic dentistry (e.g, porcelain crowns, dental bonding), it should be completed after your teeth are whitened. The restorations can be made to match the color of your teeth. Otherwise, the restorations will be darker than your bleached teeth. Ensure you’ve had a recent dental cleaning and exam. Your teeth and gums should be healthy and free of decay. Bleaching gel can irritate unhealthy teeth or gums and cause inflammation. 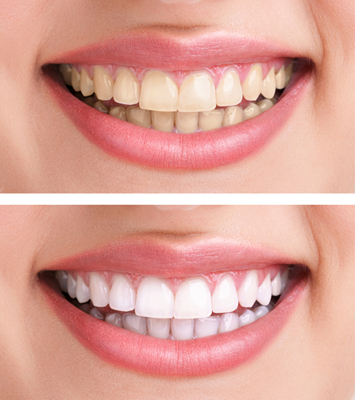 Depending on the cause of stains in your teeth, bleaching gel can make them more noticeable. Follow the instructions to avoid overbleaching your teeth. Too many whitening sessions, or sessions that are too long, can make your teeth brittle and discolored. Sorry to hear you’re having so much trouble with spots on your teeth. It sounds like decalcification might be the problem. The dental office should have let you know the results you could expect before your free teeth whitening treatment started, but all is not lost. Let’s discuss what’s happening. Ideally, natural teeth are in a pH-balanced environment, bathing in mineral-laden saliva. In everyday life, intake acid food and drink that disturb the pH balance. Health conditions like acid reflux or bulimia introduce even more acid, and certain medications reduce the amount of saliva in our mouths. We get plaque buildup and feed bacteria in our mouths with sugary foods, which also upsets the pH balance. The enamel on your teeth is incredibly tough when it’s healthy, but when your mouth isn’t balanced, the minerals start to leak. They’re in a constant state of flux; losing minerals and then gaining minerals from your saliva and diet. If you’re really good about brushing and flossing and don’t have health concerns, yet eat a lot of sugar or consume a lot of acidic things, your teeth will naturally remineralize on their own. But when your teeth have significant mineral loss, white spots, also known as decalcification, will develop. The white spots on a tooth are not as strong as the rest of the tooth structure. Many dentists refer to them as pre-cavities, though precarious lesion is the more clinical term for it. Some people do believe you can heal those spots by correcting the imbalance and making sure you’re getting the minerals you need. There are specialty products on the market that claim to remineralize teeth. Unfortunately, there’s little evidence to support this. Those spots typically become cavities. If you’re really diligent and follow a good care regimen (your dentist may have specific suggestions to help you), then you may be able to delay decay for an extended period of time- perhaps even years. Often, dentists will want to repair the spots before they become cavities. Depending on the severity of yours, there may be minimally-invasive options, such as abrasion. Teeth are usually repaired just like cavities. Sometimes, people receive dental veneers to cover up white spots and protect the teeth. You’ll need an evaluation from your dentist to find out which options are best. As for the free teeth whitening you received, it was probably legit, but it won’t get rid of the white spots or even tooth color. However, dentists usually recommend that you have whitening done before any restorative work, because bleaching gel won’t brighten filling materials or veneers. If you did want a brighter smile overall, the whitening helped, but you need alternate treatment to correct the white spots. This blog is sponsored by Dr. Miranda Lacy. Dr. Lacy’s Plano free teeth whitening for life program includes free whitening gel for patients of the practice who keep their regular cleaning and exam appointments. How long should I use free teeth whitening before I get dental crowns? Keva – It concerns us that you didn’t receive details from your dentist on how to effectively whiten your teeth before you receive your crowns. This is something a dentist usually discusses with patients in detail as part of your treatment plan. Our first concern is the source of your free teeth-whitening gel. If it wasn’t received from a dentist or a reputable company, your teeth may not get white, or the gel could actually damage your teeth. Assuming that you’ve receive professional bleaching gel, there are several factors to consider. How white do you what your teeth to be? That will affect the number of weeks you use your free teeth whitening. Your teeth will become increasingly whiter the longer you do the touch-up. The pace of the whitening will get slower as time goes on, but your teeth will continue to brighten. How sensitive are your teeth? The sensitivity of your teeth to the bleaching gel is also a factor. Your teeth and gums can be irritated from the bleaching gel. Usually for daytime whitening, you would leave the gel on at least 20 to 30 minutes. If you sleep with the whitening trays on your teeth, the gel is less inhibited by saliva slow while you sleep, and the whitening will be more effective. Be careful with high-strength bleaching gel. If it’s used overnight, it might irritate your gums and teeth. Your teeth will continue to whiten for a while after you stop treatments. Oxygen bubbles from the bleaching gel continue to whiten your teeth for approximately two weeks after your touch-up treatment is complete. Complete the touch-up at least a full two weeks before receiving your porcelain crowns. You’ll need to do touch-ups. Touch-ups are needed to keep your smile bright. Certain food and drinks like coffee, tea, and berries can stain your teeth, so the touch-ups will remove the stains. A dentist with strong cosmetic dentistry experience will ensure that your touch-ups are correctly done before you receive your crowns. He or she will also ensure that your crowns perfectly match your natural teeth. Why Isn’t My Free Teeth Whitening Kit Working? It’s tough to say if you should be doing something different with your free teeth-whitening kit, because you haven’t provided the name of the company or the product, nor have you said how you’re using it. Generally speaking, anything you can get over-the-counter is weak. Sometimes, it’s totally ineffective. If you aren’t getting it from a trusted supplier, you can’t tell if it is safe and effective. Depending on where the company is based, you may have no real recourse. If it’s not in the United States, your money is probably gone. You can try to dispute the charge with your credit card company, but this company may still get away with it because you only paid for the shipping. The product was free, and the shipping wasn’t the problem, so they may have found a way against scam controls. The only way to find out if you can have the charge erased is to call your credit card company and ask to file a complaint. Go Local: Only get free teeth-whitening products from a local and trusted source. You can follow up easily if there’s a problem. Choose a Professional: Over-the-counter products tend to be weak. You have to use them a lot to see any difference. If you want rapid results, you need professional-strength products, only available through medical and dental professionals. Talk to Your Dentist: Many dentists offer a free teeth-whitening program to new patients. Ask if your dentist’s office does something similar. While it’s designed to attract new patients, the office may consider giving you the package anyway, just to keep you happy. If that isn’t an option, they may have a low-cost solution that will give you the results you need in a safe and effective way. Can I give my free teeth whitening to my husband? Even if the teeth whitening kit is free, a professional kit from a dentist is customized for each patient. Bleaching trays are made based on impressions of your teeth to ensure they fit well and provide the best results. It sounds like your husband isn’t a patient at your dentist’s office. Otherwise, he would eventually receive a free whitening kit of his own. The kit would be incomplete without customized trays for your husband. This puts him at risk for getting not enough—or too much—bleaching gel on his teeth and gums. Store-bought bleaching trays are not a reliable and effective way to put the bleaching gel in contact with his teeth. Before teeth whitening is completed, an examination is needed to determine if bleaching will help or harm your husband’s teeth. In some cases, the gel will make stains on teeth more noticeable. If your husband is a candidate for whitening, he should have a professional dental cleaning first. This will make the whitening treatments more effective. Still, he needs professional whitening trays. As a suggestion, your husband can ask his dentist about whether or not free teeth whitening is available, or how it can be made affordable for him. Many dentists are willing to work with patients to make a bright smile affordable. This post is sponsored by Plano female dentist Dr. Miranda Lacy.